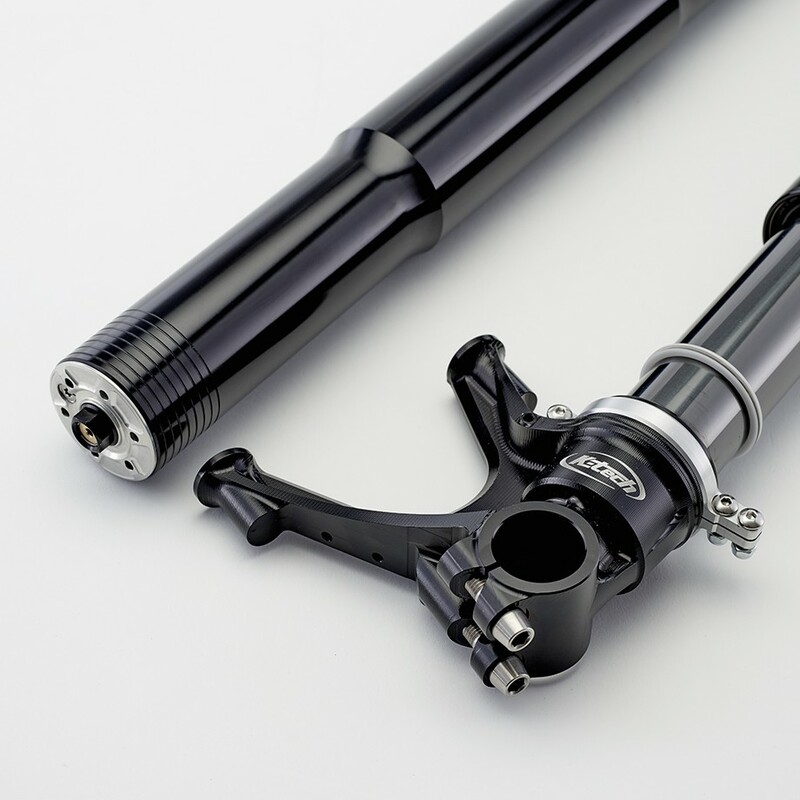 The KTR-4 front forks use the patent championship-winning DDS (Direct Damping System) technology, which has been designed to compete at the highest levels of motorcycle racing. The KTR-4 front forks use the patent championship-winning DDS (Direct Damping System) technology, which has been designed to compete at the highest levels of motorcycle racing. The DDS pressurised damping system uses 20mm displacing pistons to create a high flow of oil through the 32mm control valves to give precise damping control. The patent design eliminates cavitation making the system very stable under extreme conditions, the damping circuits are designed to work independently to improve the dynamics and response time. The system is pressurised by a spring force keeping it stable under all working temperatures. To fit these forks you need aftermarket clamps, handlebars, wheel spindle inserts etc. These forks have been used to win and podium by racers worldwide including Moto America Super Bike, British Superbike Series and Isle of Man TT.